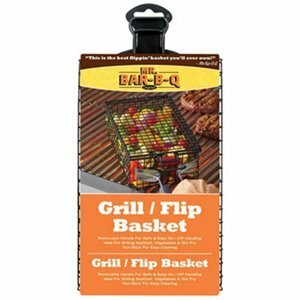 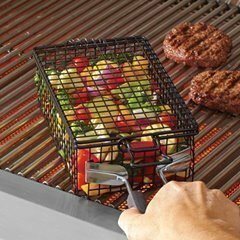 A grilling flip basket is ideal for gas grills so you can close the lid and will take up less storage space. 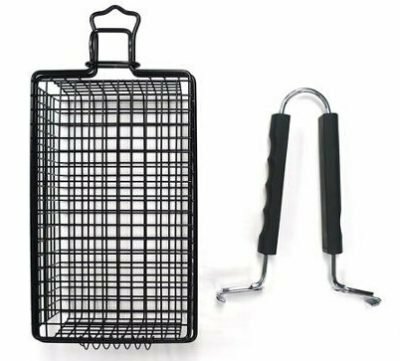 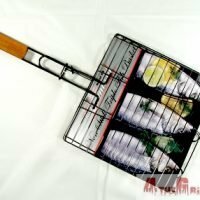 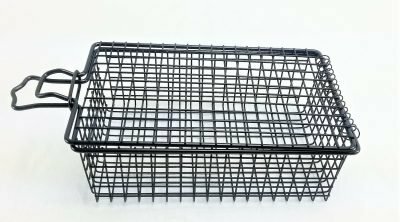 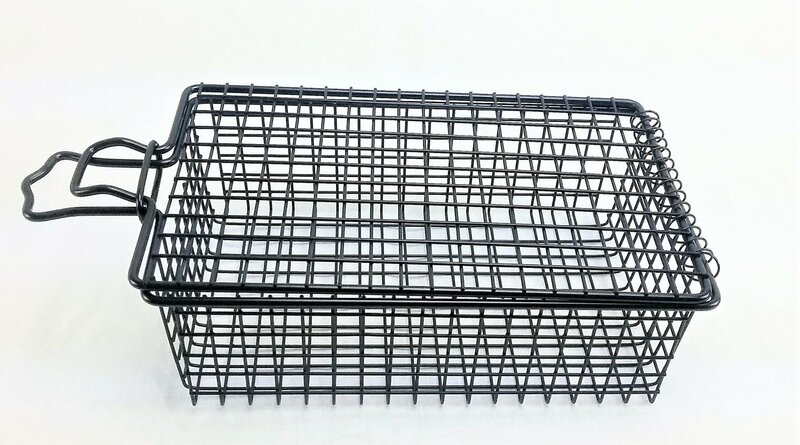 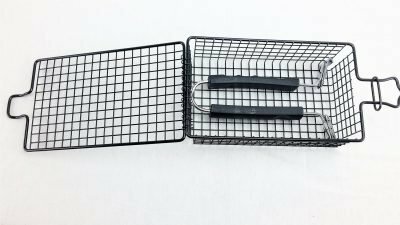 It also has a tight square mesh for really small items like stir fry peppers, you wont have them falling into your grill with this basket. 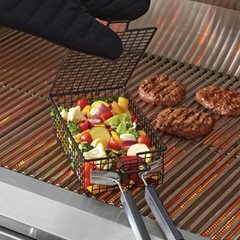 The small 3.2 x 5.5 inch footprint of this basket allows it to be parked off to the side while you are grilling your main course. 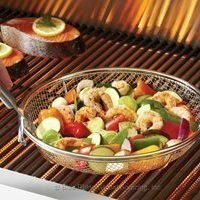 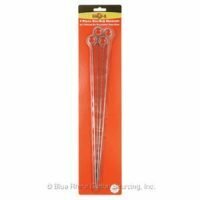 Perfect for side dishes or steak/burger toppings that you can grill at the same time. 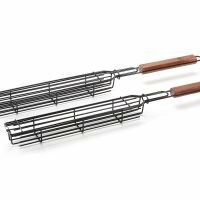 This is so versatile that you can grill outside the box with it, think grilled little smokies with barbecue sauce. 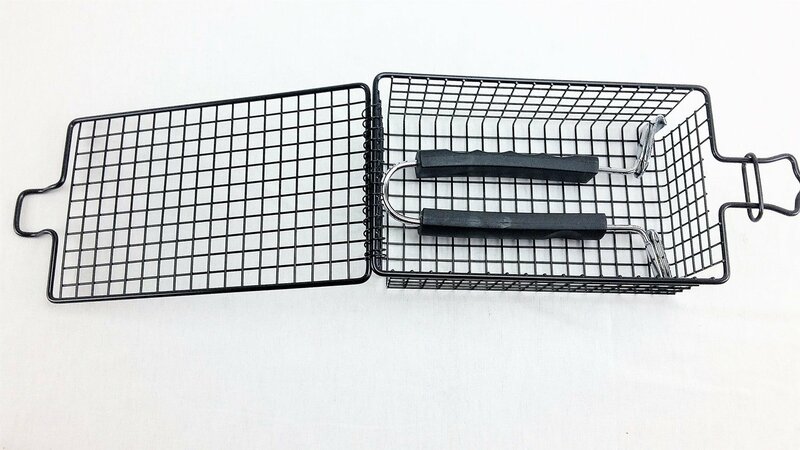 The possibilities are truly endless. 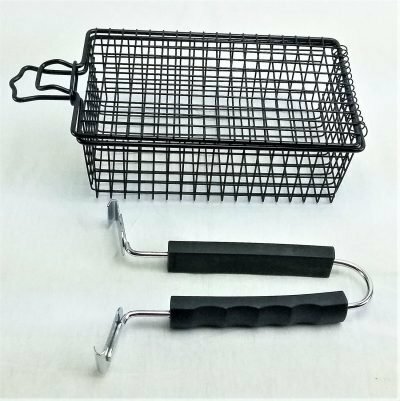 The removable handle is a simple squeeze to grab and flip the basket design. 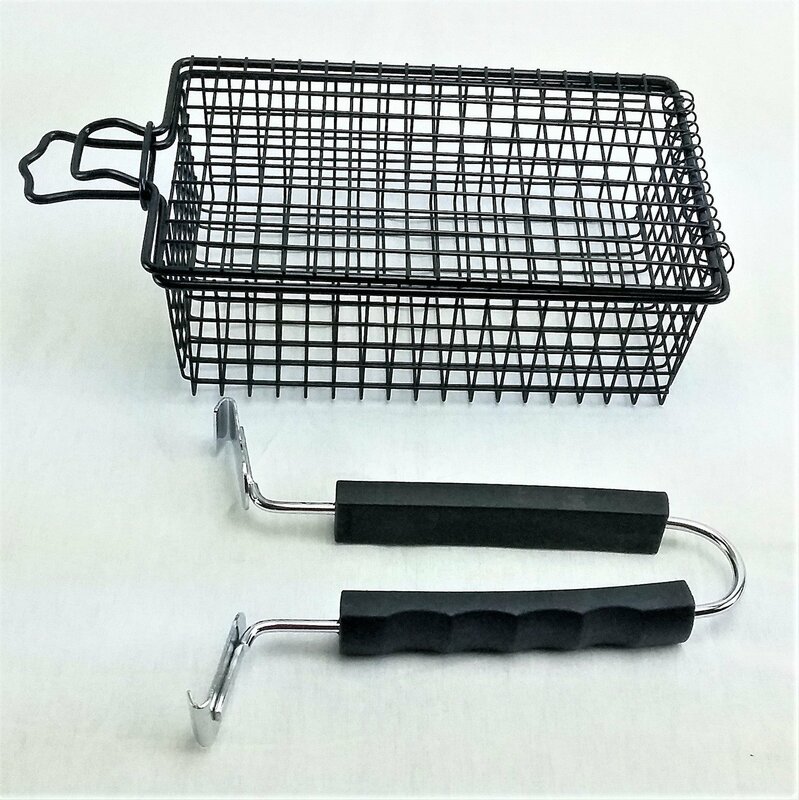 This lets you engage the handle and shake or flip the basket in seconds. The hinged lid securely locks into place independently of the handle. 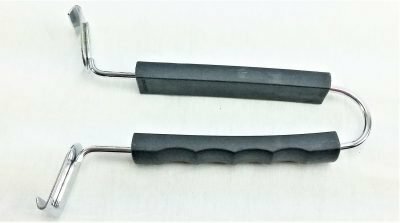 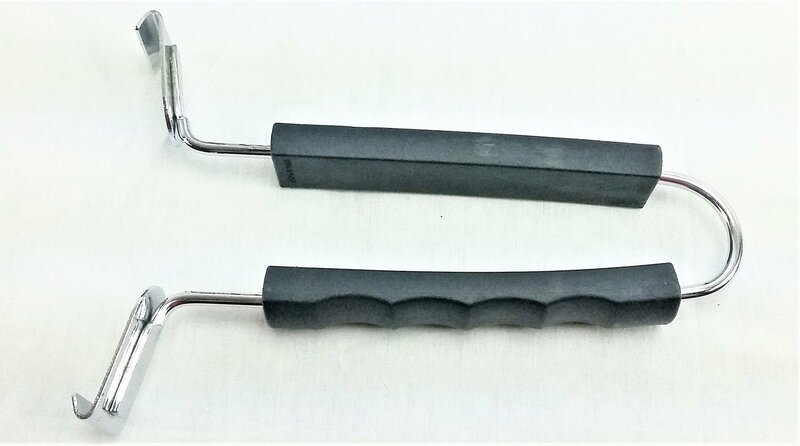 Any metal item on your grill will get hot and even though the handle can be removed hand protection and caution should be used when handling this product, especially when locking or unlocking the lid. 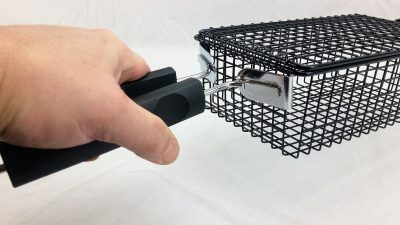 While it may be tempting to throw the skillet part of this into the dishwasher it should be hand washed with soap and water. 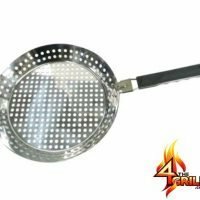 Harsh detergents will damage the non-stick coating. 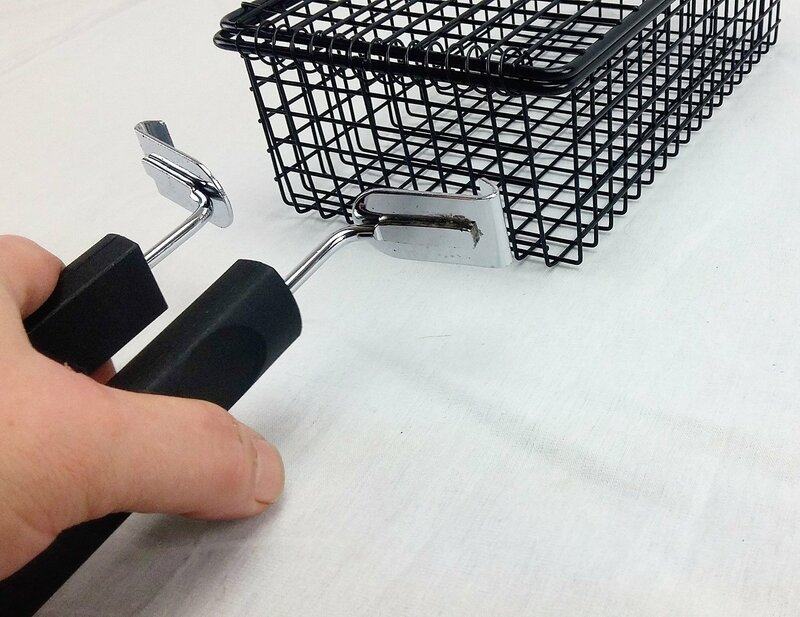 Never use metallic scrubbers on this.